Alessandro Cerutti graduated in Natural Sciences. In 2011 he obtained a doctorate in Agriculture, Forestry and Food Science at the Department of Agriculture, Forestry and Food Science of the University of Turin (Italy). During the PhD and his first Post-Doc, he has worked mainly to combine aspects of environmental researches with the applied agricultural sciences. In particular, his main research line is the validation and the development of environmental assessment methods, such as the Ecological Footprint, Life Cycle Assessment and Carbon Footprint, in agro-systems. In addition he was responsible for application of innovative methods of environmental impacts assessment related to food consumption patterns in the GERME project. 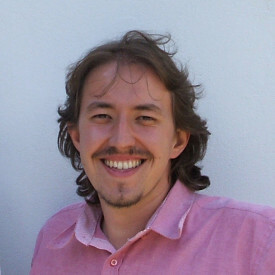 In the end of 2012 he worked at the European Commission – Joint Research Centre – Ispra (Italy), focusing on modelling GHG inventories at regional and urban scales using both standard IPCC and LCA approaches. In September 2014 he returned to University of Turin (Italy), focusing his researched on sustainability of agricultural and forestry systems, including: production, supply chains and food consumption. He is currently a member of the Directory Board of the Institute for Interdisciplinary Research on Sustainability (www.iris.unito.it) and he is a member of several research institutions and networks, including (among others) the Italian Network of LCA. Since 2011 he is a member of the Editorial Panel of the Journal of Sustainable Development and he is the co-editor in chief of the journal Visions for Sustainability.